Sweet advertising is all the rage. Its popularity is growing everywhere – not only in cafés, bars, hotels and restaurants but also in industries that have nothing to do with eating or drinking. For example, in cafeterias of global players, conference rooms of midsized firms, tea kitchens of small businesses and invitations sent out by freelancers. 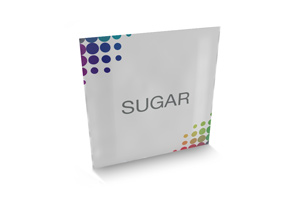 We print coated white paper formed into sachets or sticks and then fill them with up to 4g of finely granulated sugar. Sweeter than honey! 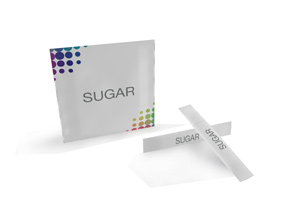 You can order anywhere between 6000 and 36,000 sugar sachets or sticks from us. 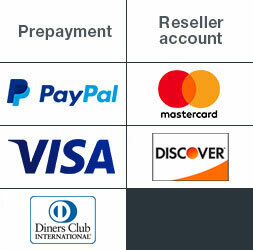 It only depends on how many customers, guests, conference participants or trade fair attendees you want to sweeten the deal for. 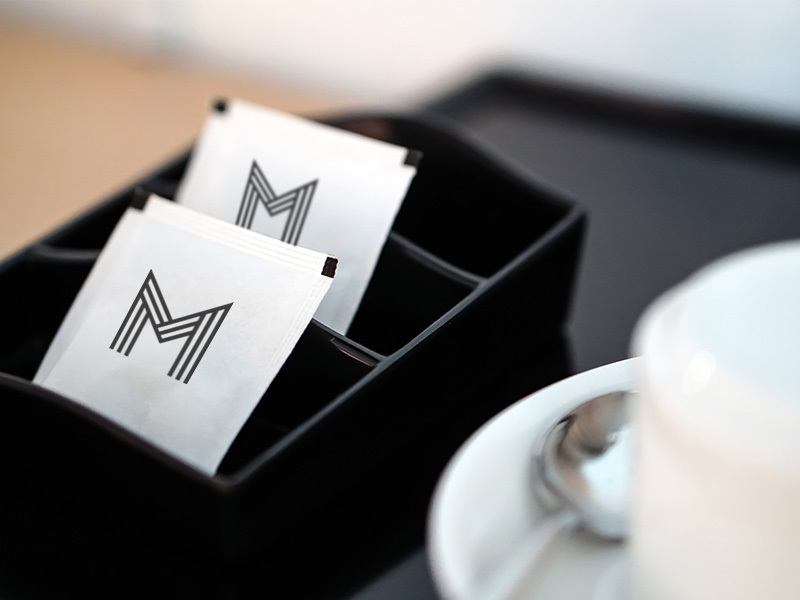 Instead of sugar-frosting your sachets or sticks, we appropriately print them. 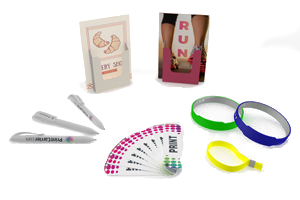 Using premium inks from Epple, in full colour on one side. 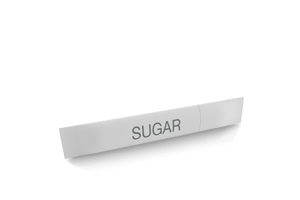 We sweeten your order of advertising sugar printed with logos, slogans, pictures or whatever by delivering it free of charge. We always try to keep it short and sweet, no matter where you want it sent to. Sugar tastes good. As does our quality. At least, almost always. If it should ever sour, as a first-time customer you get your money back. And if you’ve ordered from us before we’ll find a solution that is sure to melt in your mouth. This is the kind customer service that gives you sweet dreams!